The Immobilizer is an electronic anti-theft device. 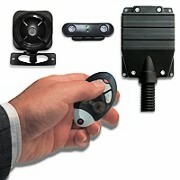 The system uses a transmitter and receiver unit (transponder) in the ignition key. The transponder communicates with the ECU by transmitting a new personal code Whenever there is an attempt to start the vehicle. Complete immobilizer set The vehicle lab has advanced computer equipment which we use to reset and encode the immobilizer system. The immobilizer system is composed of several electronic components which operate by validating transmitted codes between them. As a result, in order to change one of the system's parts, the entire system needs to be encoded so the new part will operate in coordination. This is usually done by resetting and encoding the electronic systems. Car immobilizer system Only	when the ECU authorizes this code, the immobilizer deactivates and the engine can be started. The lab repairs all car computers including: Engine Control Units (ECU), Transmission Control Units (TCU), imobilizer, climate control, speedometers and instrument panels. As well as sensor replacement and immobilizer computer reset.